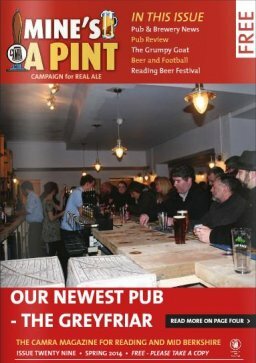 2,500 copies are distributed to over 100 pubs within the Branch area and beyond. 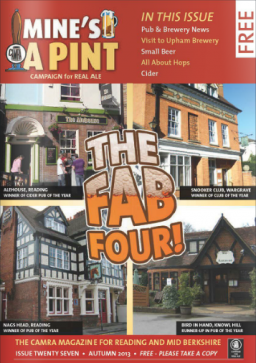 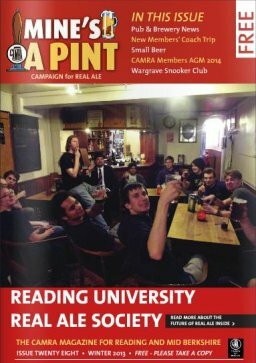 If you are a local CAMRA member and you would like to help distribute Mine's a Pint to pubs near you, please contact the Mine's a Pint Editor. 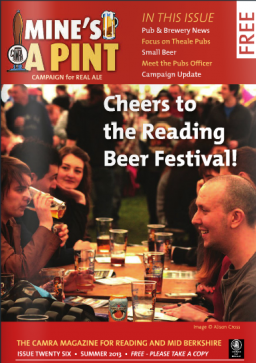 Download the current edition to read on screen - MAP Issue 49.